theFword: Happy Birthday Christian Dior! So, as you may know, Dior - j'adore! So I'm more then excited of celebrating the famous designer's birthday!What do you know about him? 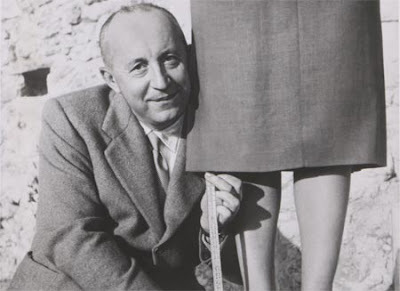 Christian Dior was best known as the founder of one of the world's top fashion houses; even so, he's work in the fashion industry is enormous and (most of all) very important. Actually , he was the most influential fashion designer of the late 1940s and 1950s. My mother says that when I was little my grandfather used to take me and my cousins on one side after dinner and ask us what we wanted to be when he grew up, and I’d say ‘Christian Dior’. He was so famous in France at the time. It seemed as if he wasn’t a man, but an institution Because I'm a person that relies on facts, I think this makes a thousand words (just like he's work!). 1905 Born in Granville on the Gulf of St Malo on the Normandy coast, as the second of five children a wealthy fertilizer manufacturer. 1923 To please his father, Dior studies at the Ecole des Sciences Politiques (Sciences Po’) to prepare to join the diplomatic corps. 1928 Opens a modern art gallery, Galerie Jacques Bonjean, with a friend and financial backing from his father. 1931 The Dior family business folds in the depression. 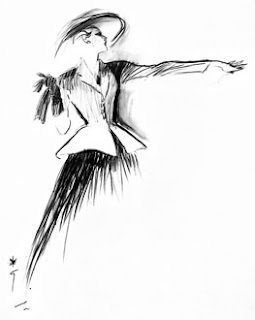 Forced to close the gallery, Dior scrapes a living by selling his art collection and fashion sketches to couturiers. 1938 The couturier Robert Piguet employs Dior as a design assistant at his new couture house. 1939 When World War II begins, Dior is called up into the French Army, but is demobilized after a year when France surrenders and joins his family on a farm in Provence. 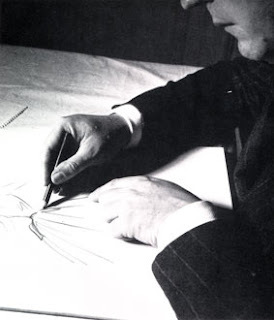 1941 Returns to Paris to work as a design assistant to Lucien Lelong. 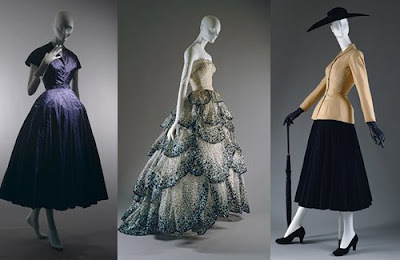 1946 After World War II ends, Dior persuades the industrialist Marcel Boussac to back him in the opening of his own couture house to be managed by the civil servant Jacques Rouët. 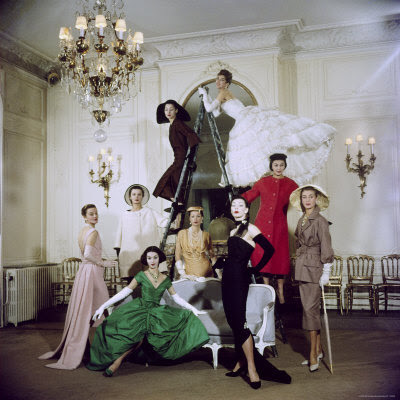 1947 On 12 February Dior presents his debut couture collection, which is an instant success dubbed the ‘New Look’ for its voluptuous silhouette and luxurious fabrics. Launch of the first Dior perfume, Miss Dior. 1948 Dior and Rouët open a ready-to-wear boutique in New York and, over the next few years, launch new perfumes and negotiate the licensing rights for Christian Dior hosiery, ties and other products. 1950 Designs a dress for Marlene Dietrich in Alfred Hitchcock’s Stage Fright and, the following year, a suit for Dietrich in No Highway in the Sky. 1954 After years of variations on the New Look, Dior unveils his new direction, the French Bean Line or Flat Look. 1955 Yves Mathieu-Saint-Laurent joins Dior as a design assistant. The Grande Boutique opens on Avenue Montaigne and Dior launches a cosmetics range. 1956 Designs over a dozen dresses for Ava Gardner in The Little Hut. Superb si foarte bine documentat!